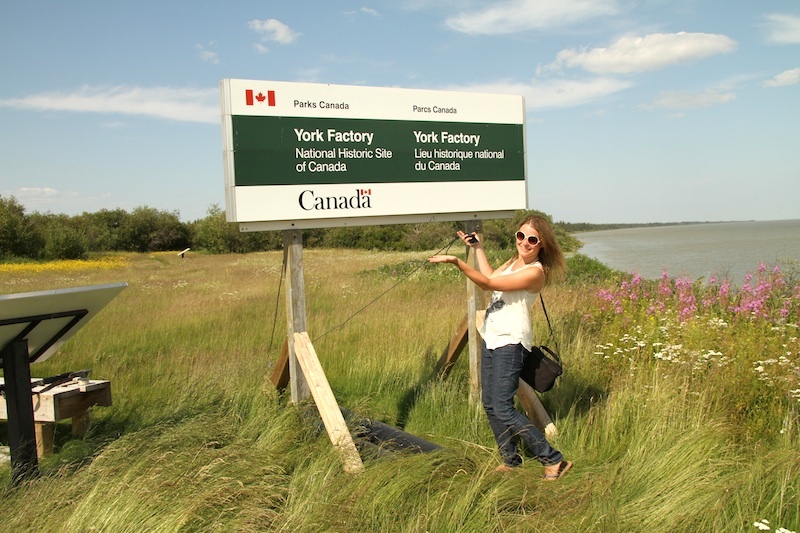 When asked about my favourite experience in Manitoba, York Factory was it. I likened it to being in a National Geographic documentary, and it really wasn’t that far off. 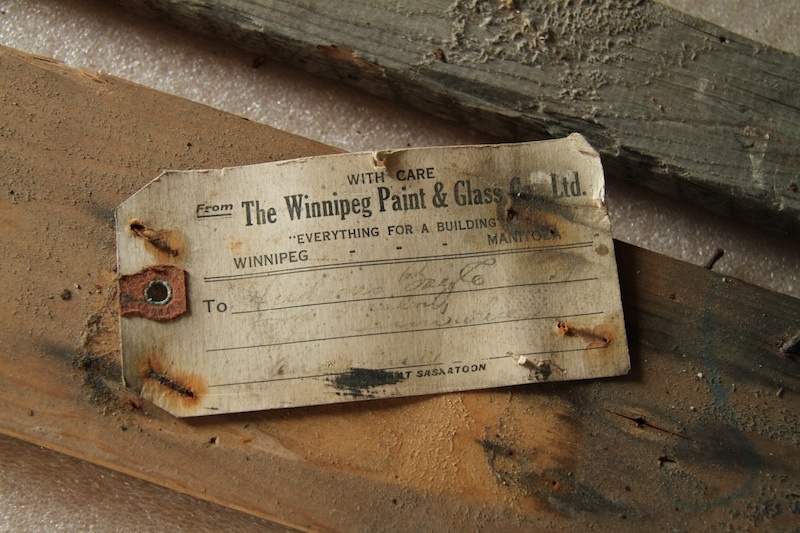 To get to York Factory, you first must fly from Winnipeg two hours north to Thompson. 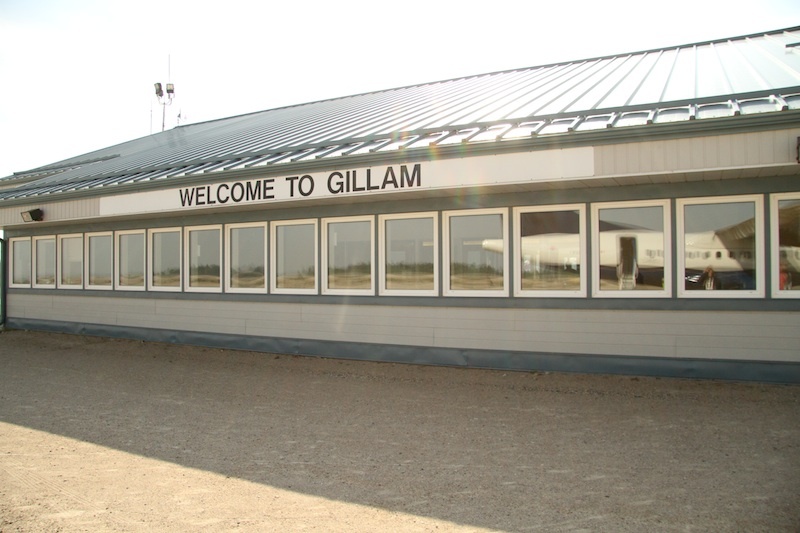 You transfer planes and then fly 30 minutes east to Gillam, population 1,200. 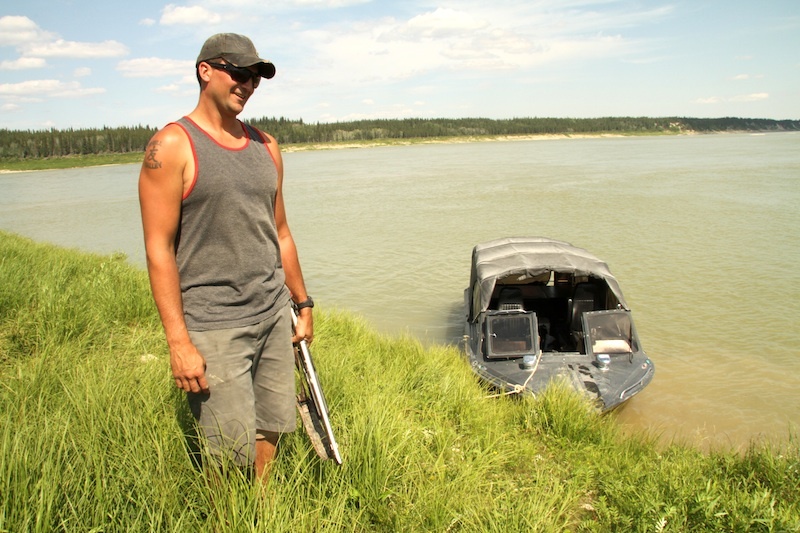 From Gillam, we – Travel Manitoba’s Dené Sinclair and I – met up with Clint, owner and guide of Nelson River Adventures, who met us in his pickup truck towing his boat. From Gillam we drove 45 minutes down a gravel highway, over a massive dam, through the boggy northern Manitoban landscape until we reached the Nelson River. Clint launched the boat into the river, and off we went. To say this area is wild is an understatement. There was literally nobody else around. It was so remote, Clint showed us how he was going to check in at various points during the trip, so that his contact in Gillam would know that we’re safe. He also showed us how to use the satellite phone to call for help if we needed to. This was serious stuff. As we motored down the Nelson River, we’d spot bald eagles soaring over the trees. We stopped on an island to refuel, Clint strapping a rifle to his back, telling us that we couldn’t leave his sight. We’re in polar bear country now. The island we were standing on had wild raspberries, blueberries, and Labrador Tea. 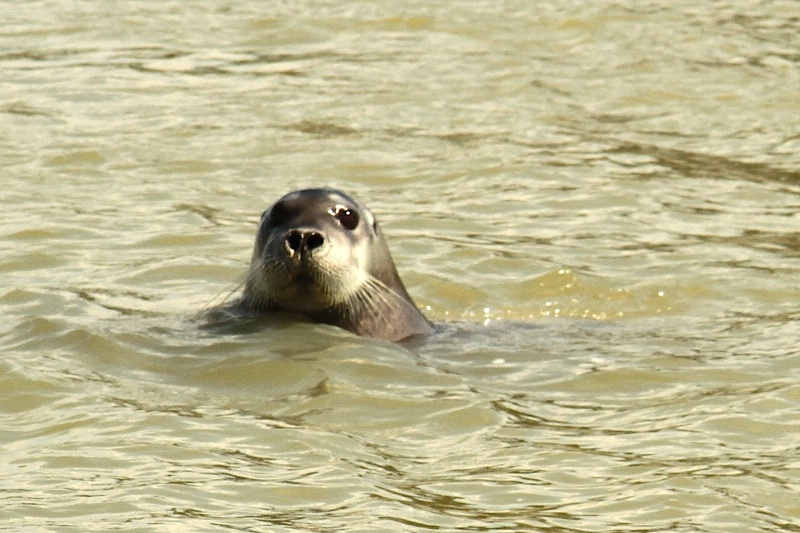 There were seals in the river, watching us playfully. On the island was a memorial plaque, celebrating an English explorer, Thomas Button, who had navigated the same river while in search of the Northwest Passage… in 1612! Back on the boat, we continued downriver. 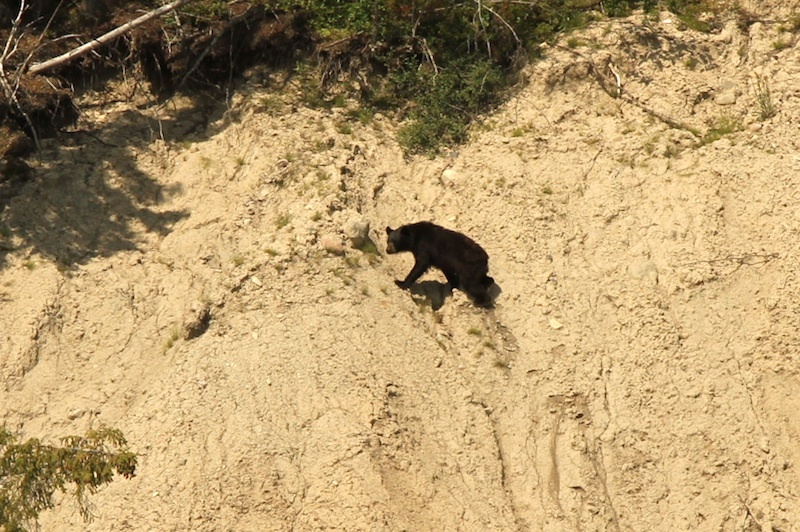 We’d spot a black bear spying on us, scampering up from the river and into the woods. And then there were two white heads, swimming away from us. It was a polar bear mother and cub. Incredible. 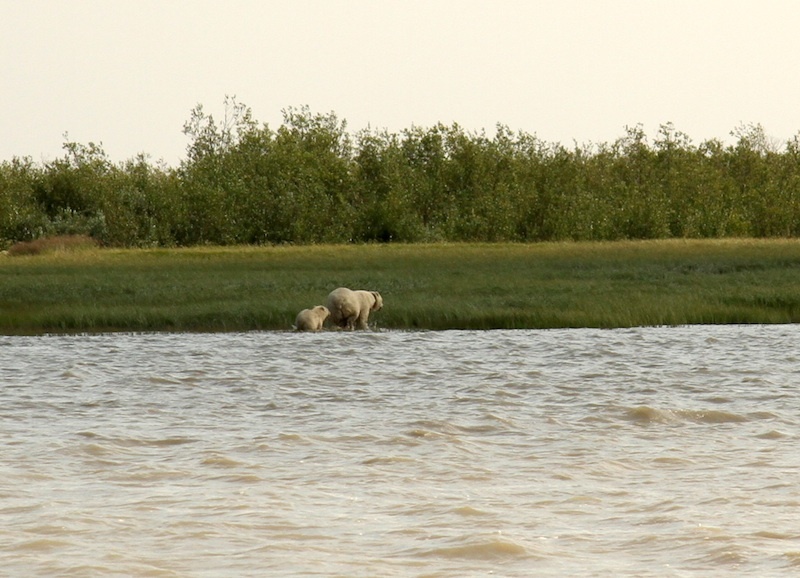 It was a hot and sunny summer’s day, yet here were polar bears. The river, wide and shallow, felt familiar like the Fraser, but the polar bears’ presence reminded me that I wasn’t anywhere close to home. 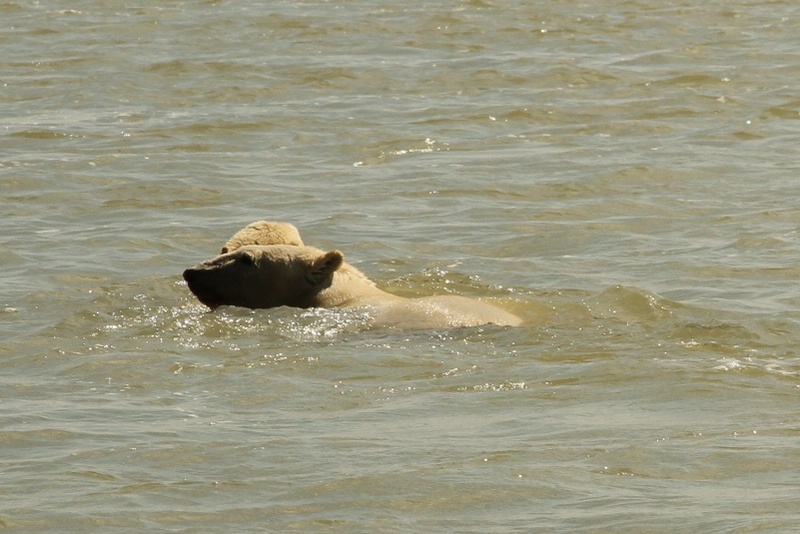 A short while later, two more polar bears, yet another mother and year old cub, were swimming away. They fear the sound of the boat and rightfully scram into the bushes. We admire the polar bears from a distance, the little one trying to jump on its mother’s back, until they’re in the safety of the grass. 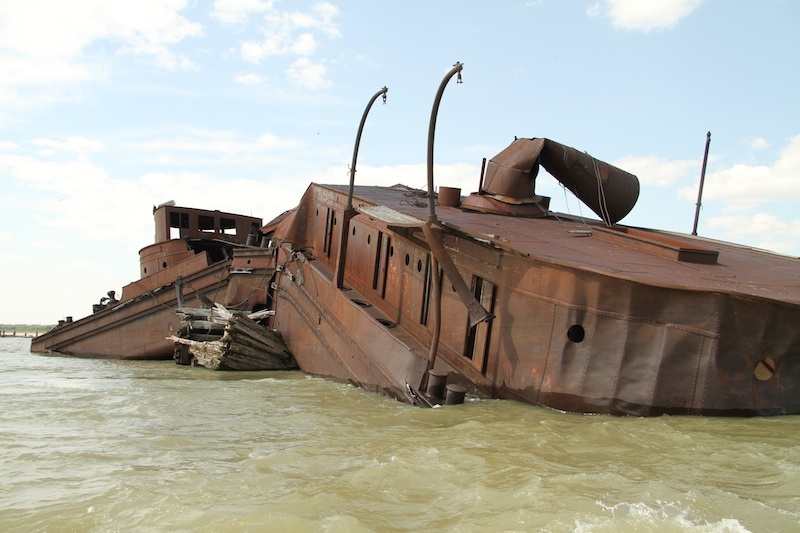 We pass by long-abandoned railroad infrastructure of Port Nelson, and a shipwreck, and eventually find ourselves in the Hudson Bay. The river by this point is so wide, you can’t tell where it ends and where the Hudson Bay begins. There are dozens of them, everywhere, all around. They don’t have dorsal fins so you see a flash of white in the front of the boat, then to the side. And then another. And then another. And another. And another. It’s unreal. 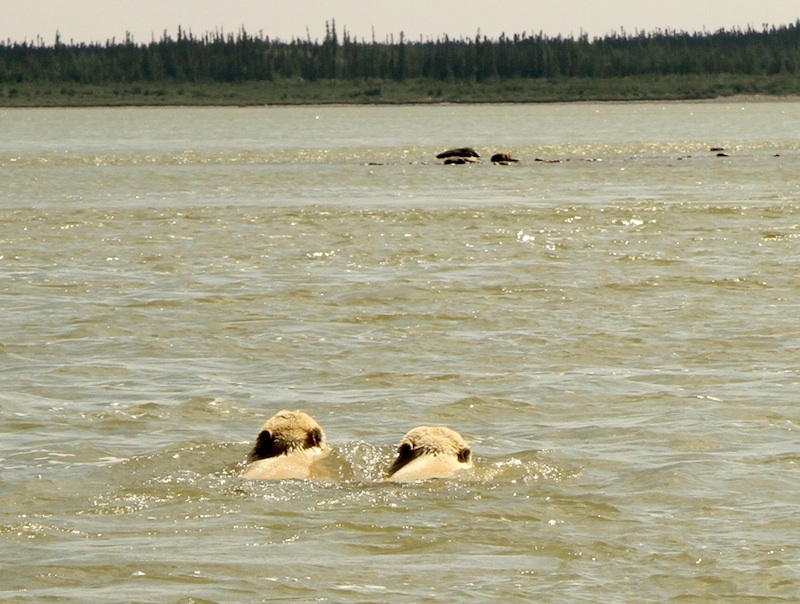 We’re out in the shallow depths of the Hudson Bay and round the bend into the estuary of the Hayes River. We’re almost there. Tides are crucial to our journey, and we must arrive at our destination at a precise time so that we’re not left stranded by a beached boat on our way back. Clint speeds ahead and my army green patrol cap goes flying – my donation to the Hudson Bay. A short while later we arrive at the dock. We’re at York Factory. Clint docks the boat and straps the rifle to his back. We collectively climb the stairs. Dené, who had wanted to visit York Factory her entire life, is in awe. So am I.
Clint goes back down to the boat to set up a BBQ for lunch. “I’m going to cook some burgers. Nothing fancy.” We’re told not to stray far from the stairs. We’re in polar bear country. Clint leaves his rifle nearby and we enjoy the view. 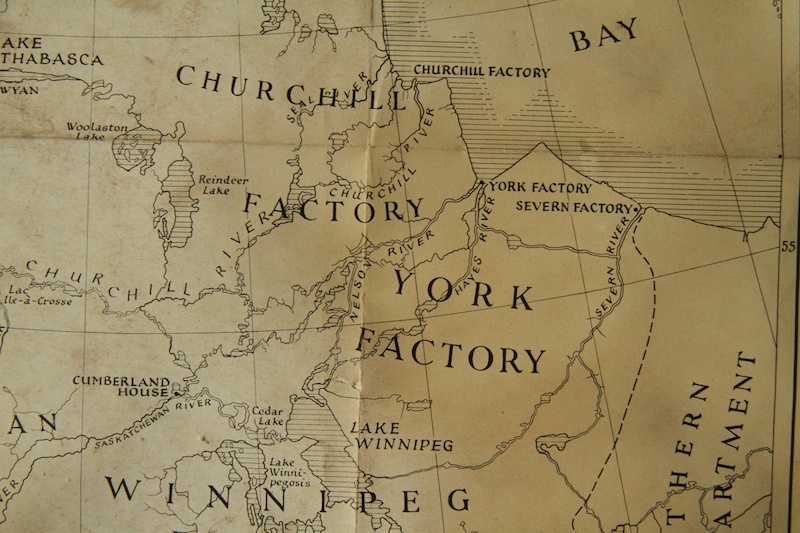 York Factory was one of the most important Hudson Bay Company fur trade posts, by the way. 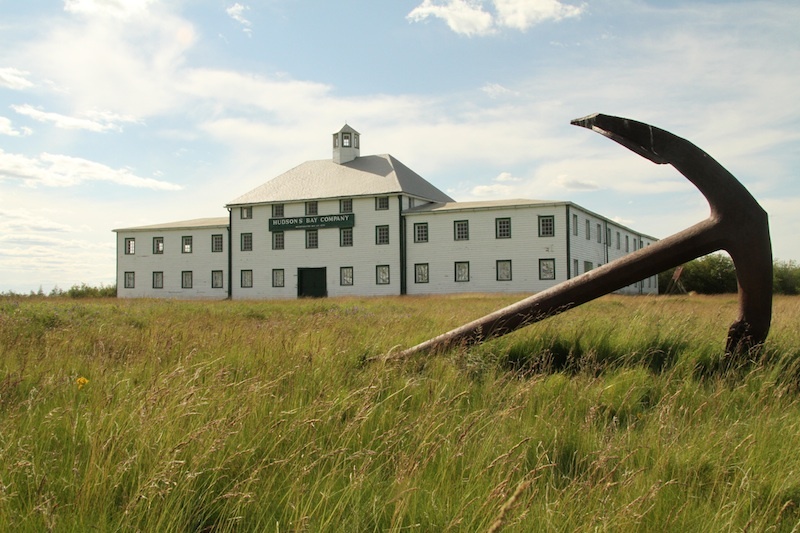 For 275 years it was in use, the goods factory for the Hudson Bay so that they didn’t have to keep shipping back to England for supplies. This was the hub for the entire Hudson’s Bay Company, and they would use York boats to transfer goods down the Hayes and Nelson Rivers. 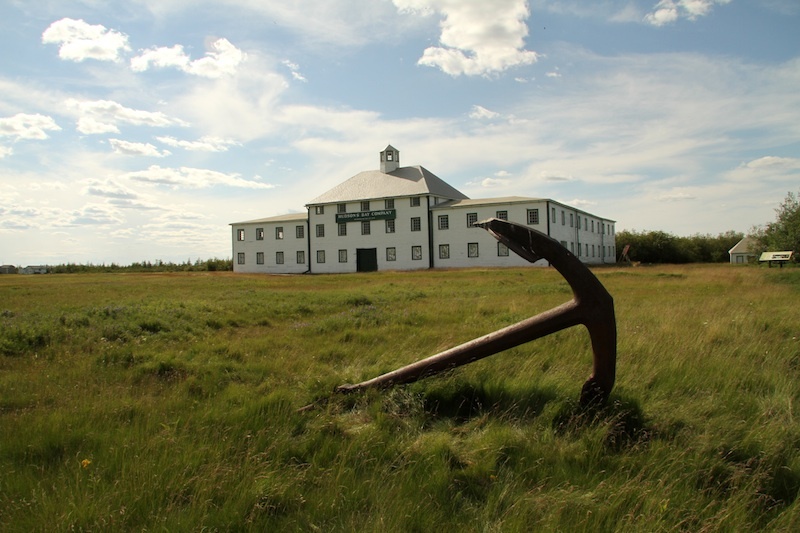 It’s now a National Historic Site, the most remote national historic site in all of Canada, I’m sure. There are caretakers who live on site, but they’re not around today. They’ve given Clint the keys to show us around, but first, lunch! Clint had a full BBQ set up and made us jalapeno cheeseburgers, inspired from a Diners, Drive-Thrus & Dives TV show. They’re so amazing, I devour two. Clint opens a jar of homemade pickles, and tells us there’s homemade rhubarb cake being heated on the grill for dessert. We swoon. The tour of York Factory is somewhat surreal. Once upon a time this place was a village, but the high tides of the Hayes River have eroded much of it away. There are only a handful of buildings left, including the main storage building that we’re going to tour. In 50 years, they anticipate, everything will have eroded into the river. 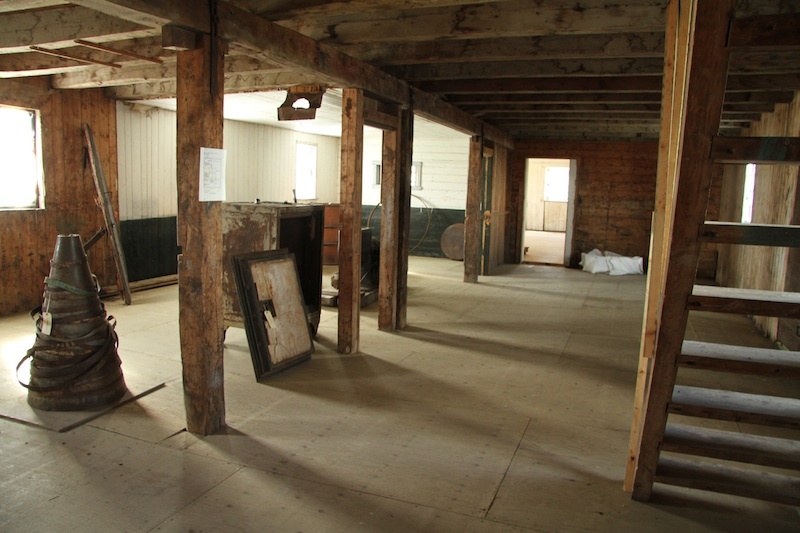 York Factory is not your traditional National Historic Site. 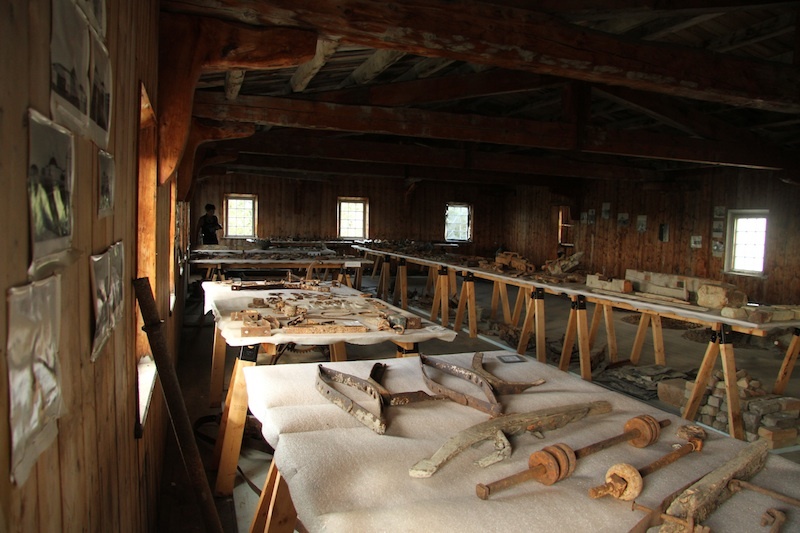 It is not your traditional museum. There is no admission. There is no staff. There are no exhibits hiding behind glass walls. 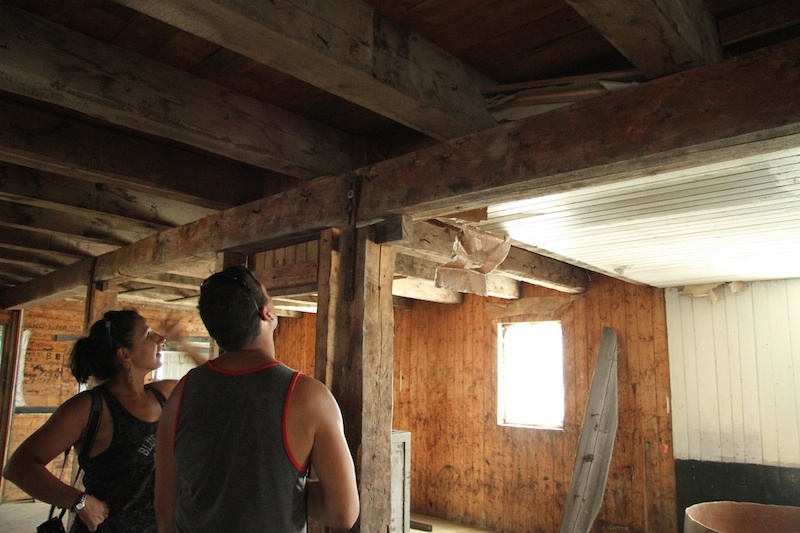 The building inside is unpolished and raw – left in the original state it was used in. 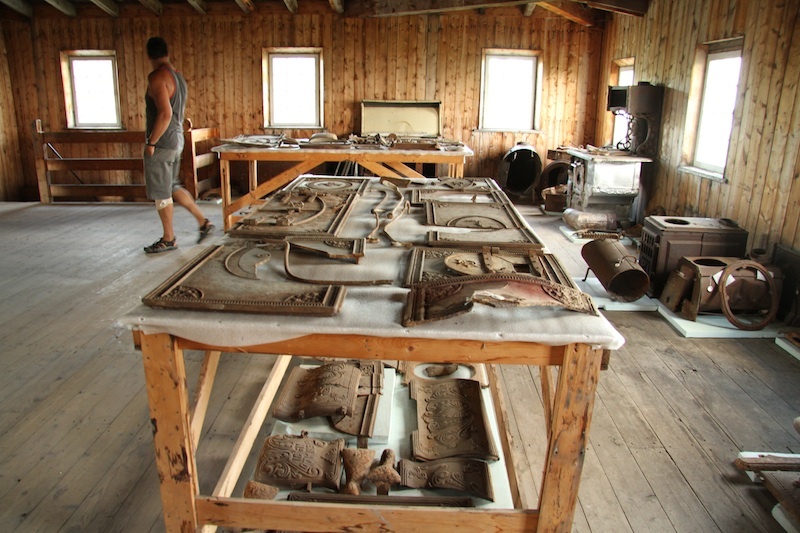 There are tables set up with found objects, items found from the river, eroded away. We spend some time downstairs and climb up the wooden steps to the second floor. My jaw drops. 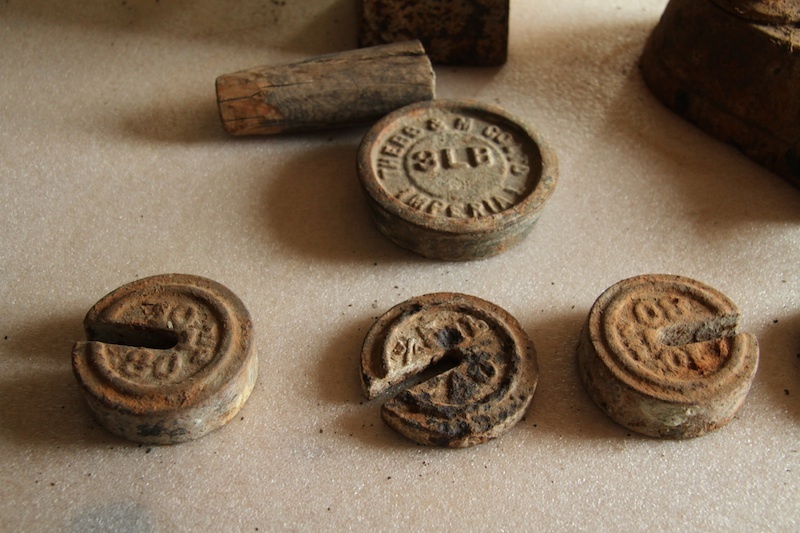 There are dozens of tables with thousands of found items, everywhere. 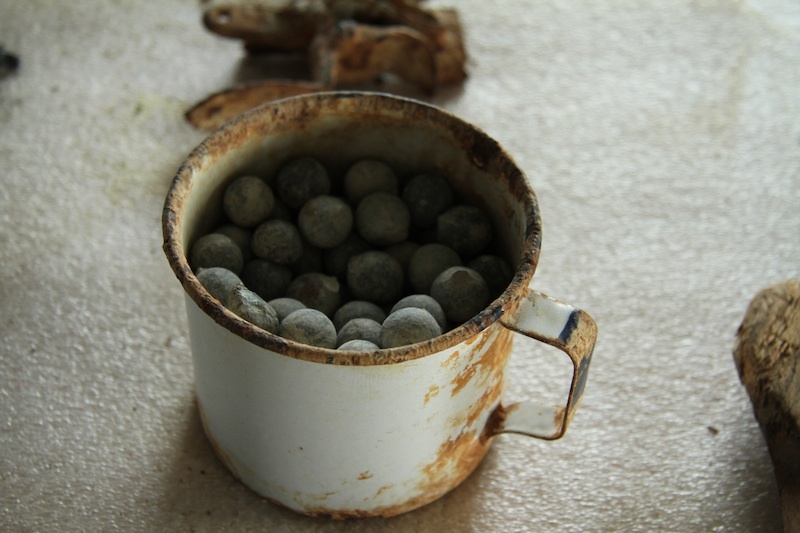 There are iron stoves, and cannon balls. 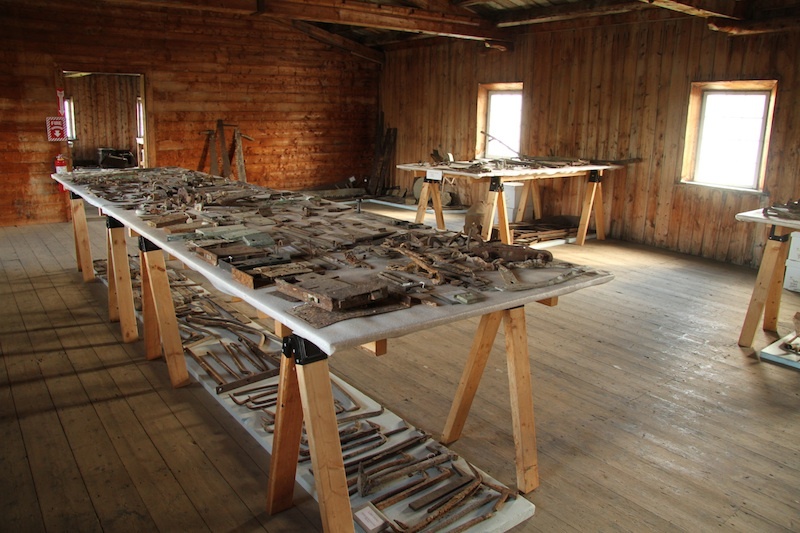 There are glass bottles and dishes and the bones of animals. 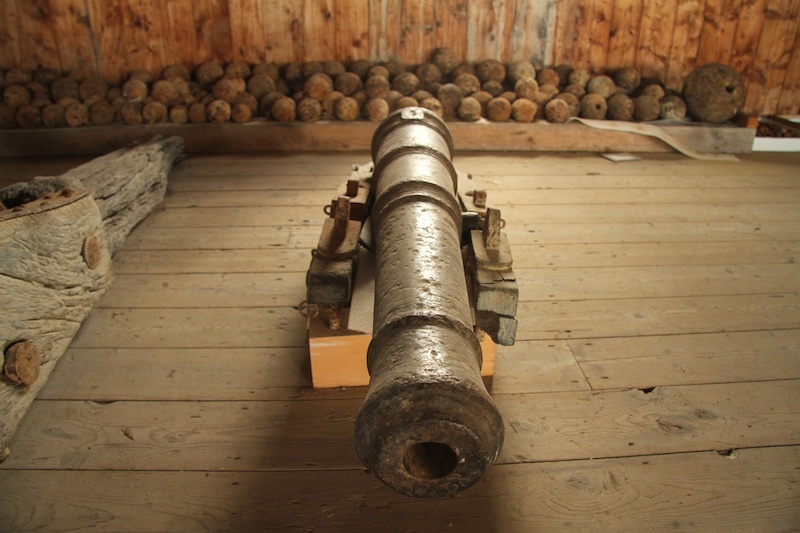 Nothing’s stopping us from touching any of this, although we’re respectful of the artifacts. 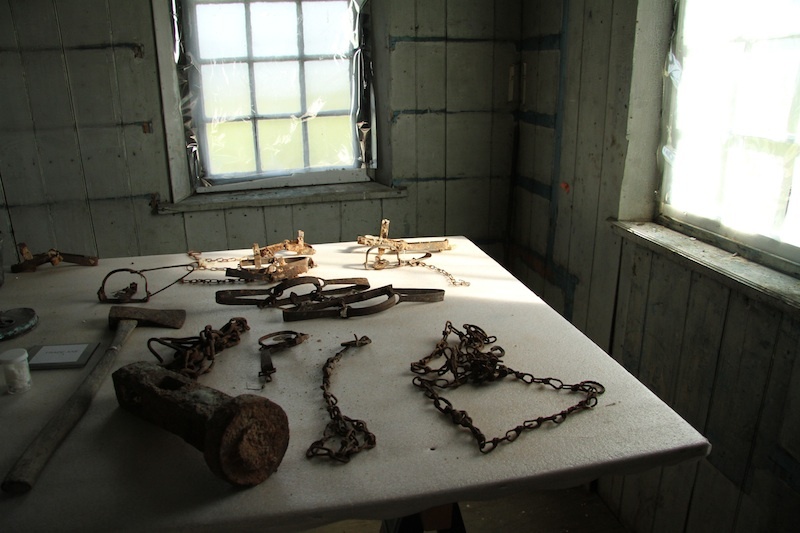 It’s fur trade archeology at its finest, for anyone who dares to visit. 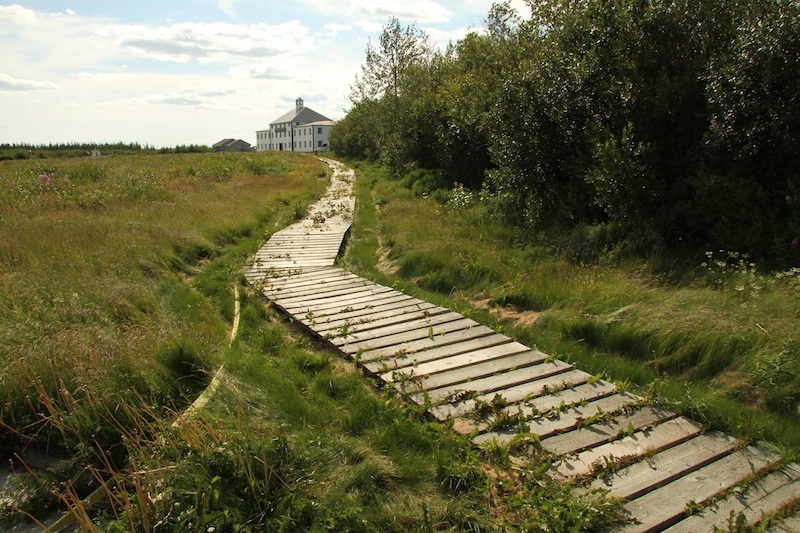 We’re limited for time, so we take a walk along the boardwalk, avoiding stinging nettle while swatting mosquitos. 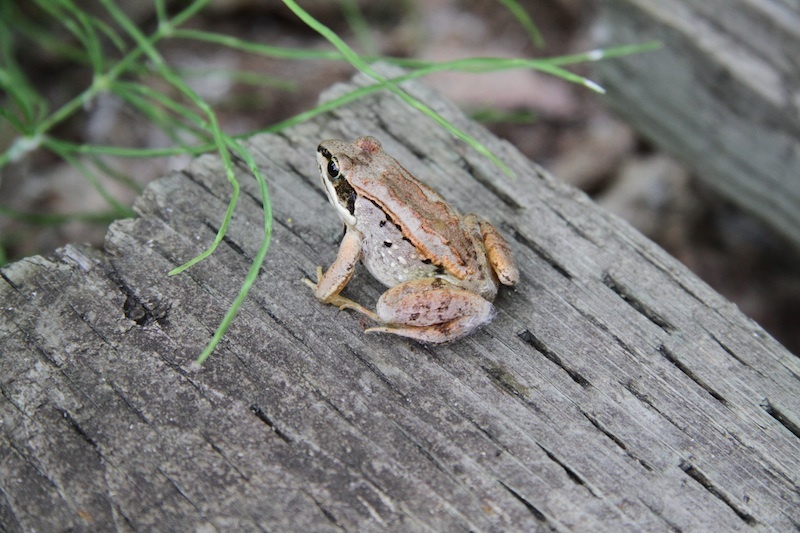 A tree frog sits on the ledge and watches us as we walk down to an abandoned graveyard. The tide by then was getting dangerously low for the boat, so that was our cue to go. Clint, Dené and I say our goodbyes to York Factory. We don’t know when we’ll be here again, if ever. In 50 years from now, it may no longer be around. Then again, nor may I. A tremendous thanks to Clint for the adventure of a lifetime! This is a memory and experience I’ll treasure forever. Dené, you rock! I’m so happy to have shared this experience with you. My grandfather used to work up north on the planes doing land surveys and stuff. He has some pretty rad photos from York Factory in the 50s. He will love this, so I’m going to send it to him to see!!! Thanks Colleen! That’s so cool that your grandfather spent time in York Factory in the 50s. Let me know what he thinks! We also did this trip of a lifetime tour with Clint and Nelson River Adventures this past summer. Such a beautiful part of our country, rich with history, rugged wilderness and wildlife. A trip we will never forget! Thanks for reading, Caril! It’s definitely a trip of a lifetime to a part of the country most people never see. Wow! This looks absolutely incredible… I would love to round up a group of buds and take this tour of a lifetime in the near future. 50 years from now it may all be gone 🙁 What are the rates? Does that Clinton join in on all of the tours? Meeeeow! What a hunk. My sister and I also went 1 and half years ago. We flew in and were stranded there. That was the best part. We got to spent the night at the parks house. Our relative is buried there. Willaim Sinclair who married Nahoway. We always heard about our relatives of northern Manitoba and it was bitter sweet to go. It was so hard to leave. It felt that we were leaving our family. 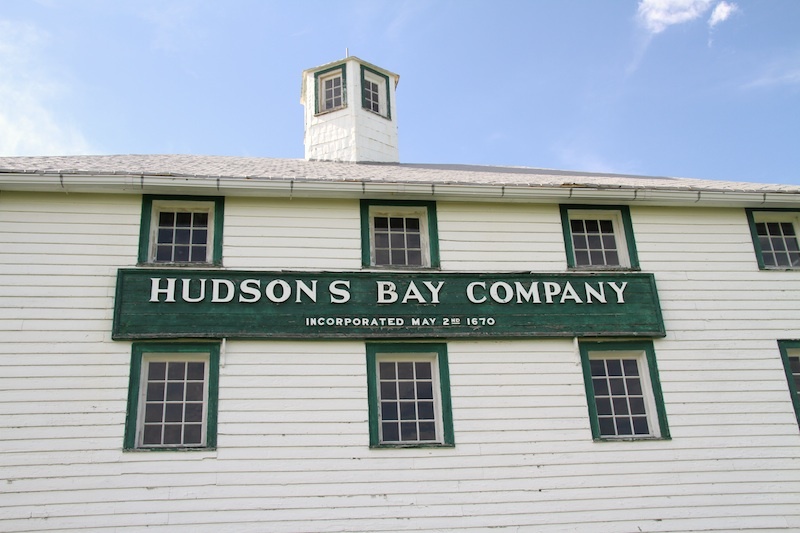 The Sinclairs spent so many years with the Hudson Bay company. We would go back in a heartbeat. Very interesting, some family members and I would like to plan a trip for 2016. Our mother was born in York Factory (she has since passed) but when she was here she would tell us some things about York Factory when she was a child. Very proud to say that I am one of the few people that can say they have lived at York Factory. Magical and mystical place. Love to return. Made the trip up and down the Mighty Nelson but usually in a 20 foot chestnut canoe with a 9.8 Mercury on it. We ran the rapids back then. Awesome memories!! Beautiful country!! We are planning a boating trek from Gillam to York Factory to pick up my brother who did a canoe trip on the Hayes River. Any advice or memories you could share from motoring up and down that river? Oh wow, you’re in for a treat! My advice? Make sure you have appropriate safety communication equipment, like a satellite radio and that you do a few check-ins with people along the way. It’s just extremely isolated along there. 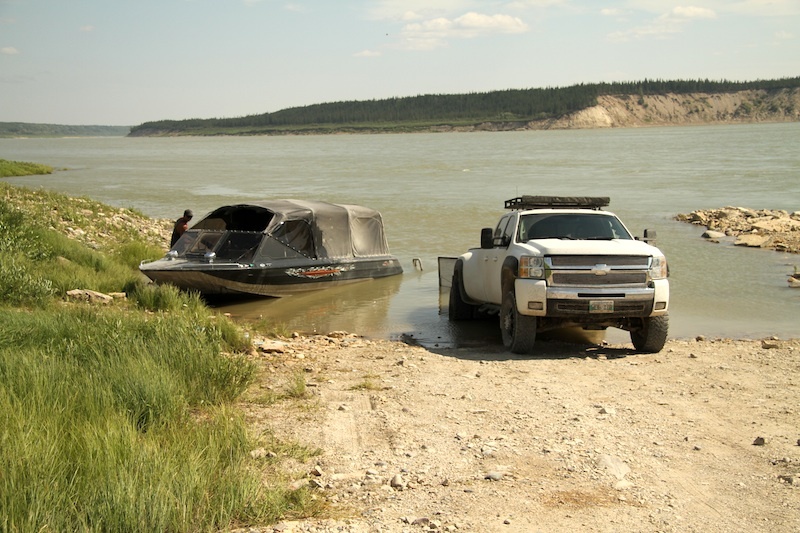 The river can be very shallow in areas, so you’ll have to be careful navigating. 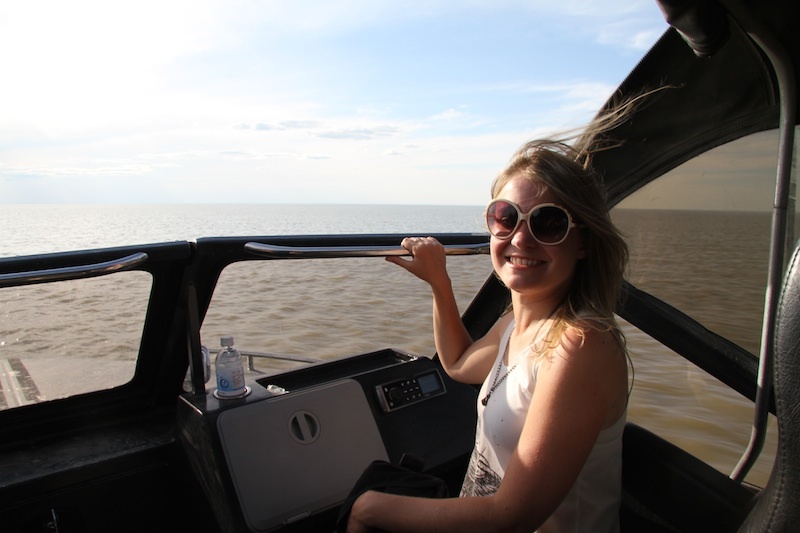 I did not pilot the boat at all, and I was somebody who was experienced with the river, so I would recommend connecting with somebody who also has taken a boat along that journey. I remember we had to refuel a few times, so bring everything necessary to travel that way. And bring lots of water and food. Be prepared for mosquitos. And keep your eyes open for wildlife galore. 🙂 Most of all, have fun! Let me know how it goes! 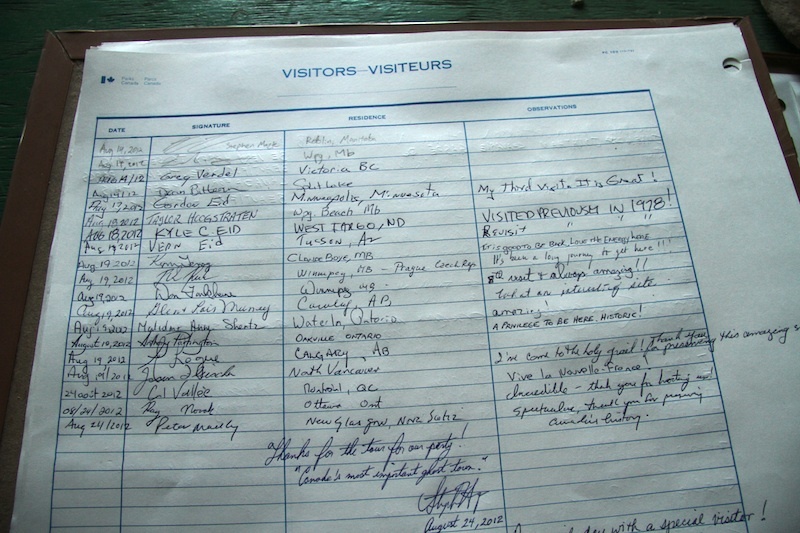 I should also mention, looking back on the experience, I wish I had brushed up on my Canadian fur trade history a bit more because that river is so entrenched in that history – you really feel like you’re travelling somewhere significant, like you’re following in old fur trade explorers footsteps. I am from York Factory. Such a mystical place. Time stands still there. What a place to be from! It certainly does stand still. Do you ever go back to visit? Or do you still live nearby? I still live nearby in northern Manitoba. Planning on paddling to York Factory this coming summer. 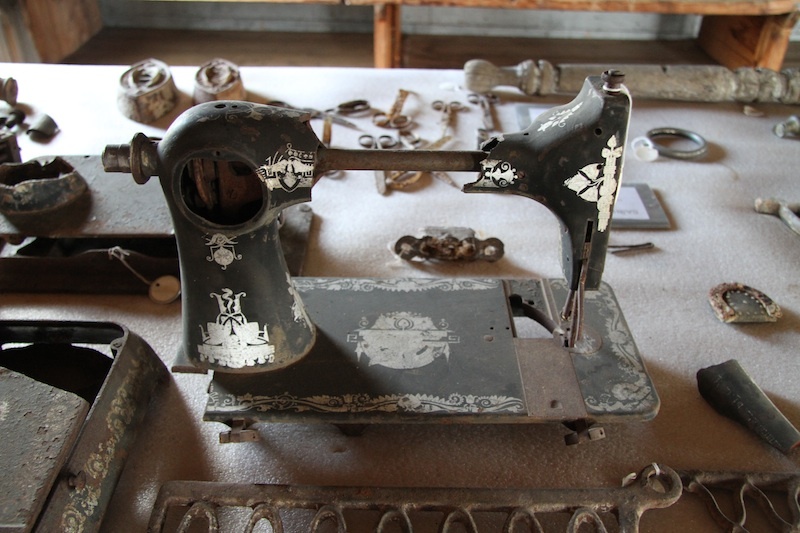 The blog of this trip fascinated me because my great uncle worked out of York Factory as a fur tapper in the 1900’s. He married a Cree indian and now there are several people with his name in the area. His name was Harold Bland. I live in England and would love to visit but I think its pretty expensive! Really appreciate the photos!! Thanks for reading, Jane! It’s definitely a fascinating area to visit – certainly a once in a lifetime trip. I’m really grateful to have seen it. Very interesting. My father, Esau Adams, worked building the abandoned port on the Nelson River, some of which I am amazed still exist, having been abandoned now for a century. I have his journals describing the government blunder of that scheme. And, being a Master Mariner from Newfoundland, he salvaged a ship, a sailing schooner that was abandoned by the Royal North West Mounted Police, The Village Belle. Thanks for the comment and for sharing a bit of your family’s history with me, Winston! It’s interesting how, if you read through the comments here, this blog post has attracted quite a few people who have personal connections to the area. I hope you get a chance to visit. So many THANKS for this post!!! I recently discovered I to have heritage to York House and my imagination runs wild. I long for the trip you so exquisitely document. I love you your photos- Thank you! 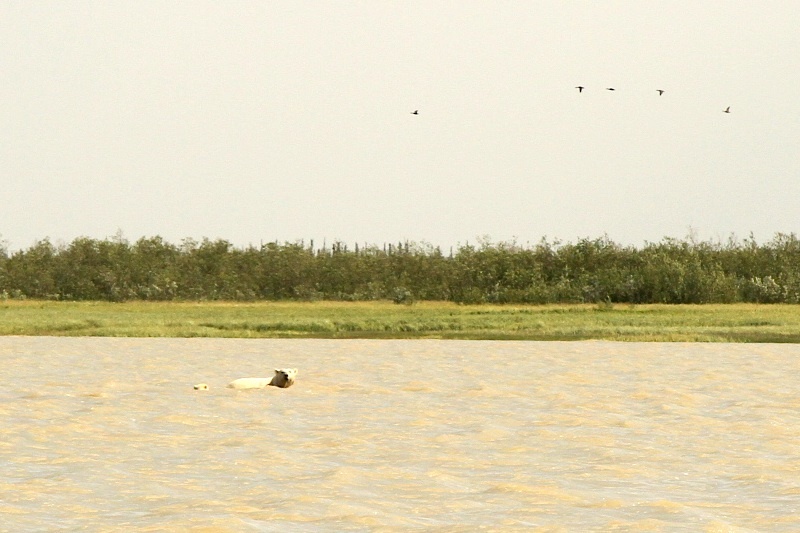 Manitoba- who’d a thunk it would be on the bucket list, let alone Northern Manitoba! Right? Manitoba often doesn’t get the love it deserves amongst Canadians who have never visited, but that lack of love is undeserving. 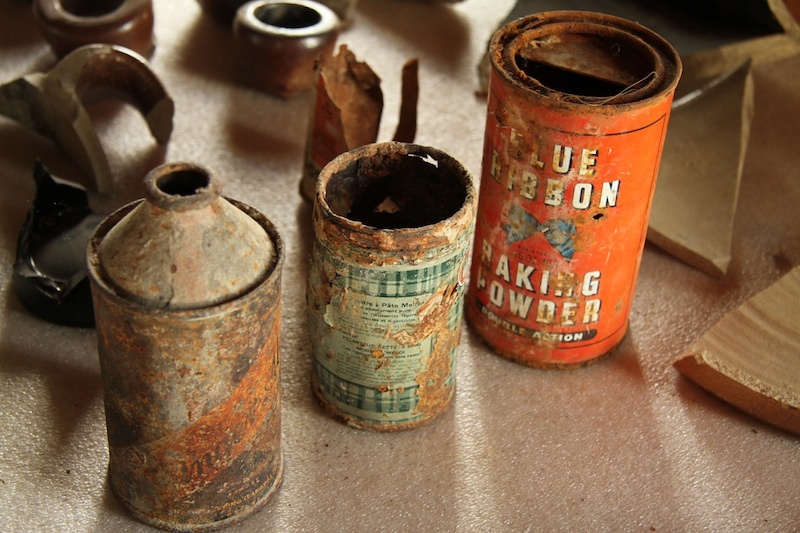 There are a lot of incredible places to explore, secrets to most of us, such as York Factory. I spent over a month exploring Manitoba, and still never saw it all! Anyhow, I’m glad you enjoyed the photos and that they were able to paint a picture for you. I hope you get a chance to experience it one day. So worth it! Just got back from Churchill where we were treated with numerous belugas & polar bears. I’m sad that I was so ignorant about the significance of York Factory which would’ve doubled the pleasure in one trip! The good news is I now have an excuse to go back. The hard part will be finding enough brave friends to fill the boat with 6 people! Can Clint help on that issue? Good job BC from Independence, WI. U.S.A. Thanks for the comment, and welcome back! Isn’t Churchill incredible? I visited back in 2013 in July for just 24 hours. I didn’t see any polar bears there ironically, but did see all the belugas swimming in the river! I was supposed to go snorkelling with the belugas, but unfortunately the wind had other ideas. But just like you, it’s simply another reason to go back. 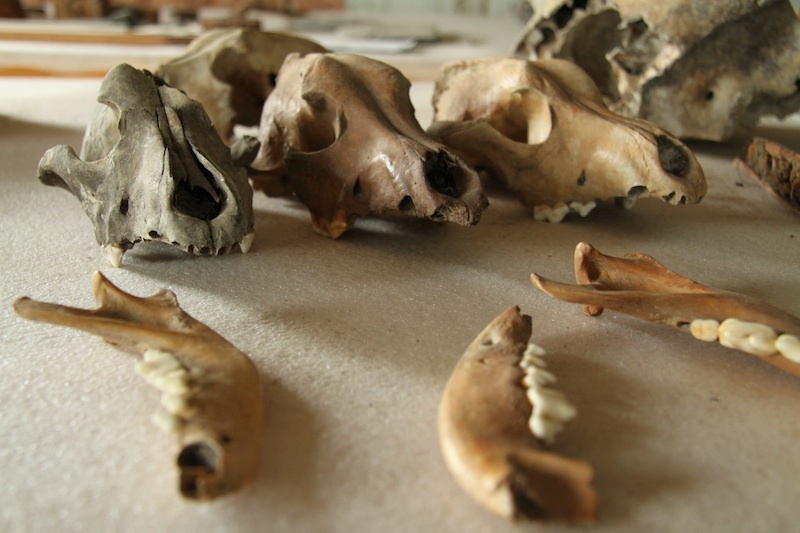 🙂 Yes, there’s a lot of fascinating fur trade history in this part of the world. I knew it vaguely, but it wasn’t until I was there that it became much more significant. It’s quite humbling to be in these extremely historically significant remote locations knowing that few people before you have ventured there. Definitely reach out to Clint and see if he’d be able to add you into another group’s journey. I imagine you wouldn’t be the first to inquire. 🙂 Good luck and let me know if you get there! Excellent story and photos of the journey. Thanks. I love the history and prehistory of the Manitou-abah area with rivers flowing to the giant salt water bay. As humans we can forget the hundreds of years, or even thousands of years before us. 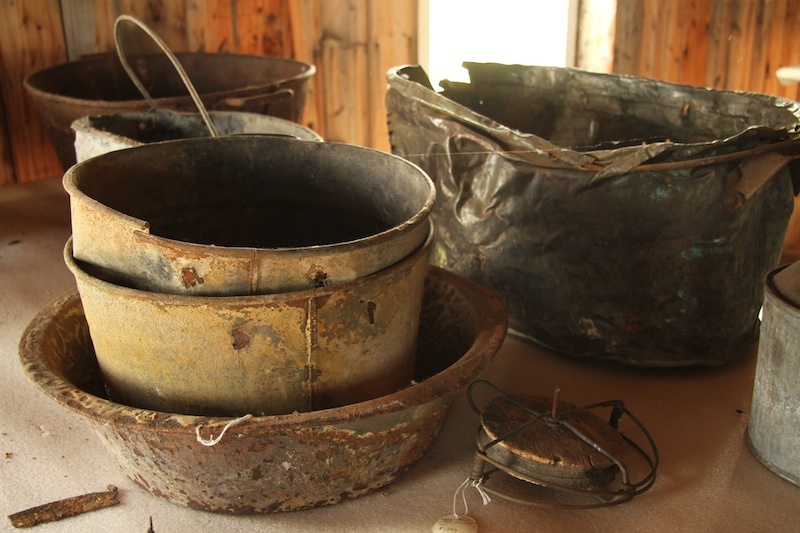 The copper working culture is ancient, and artifacts of that age are found in Manitoba, Ontario, and along the river highways. Petroforms are also common. Ancient mines are all over. There are hidden places and artifacts to dream about. The ancient rivers were pathways and connections. 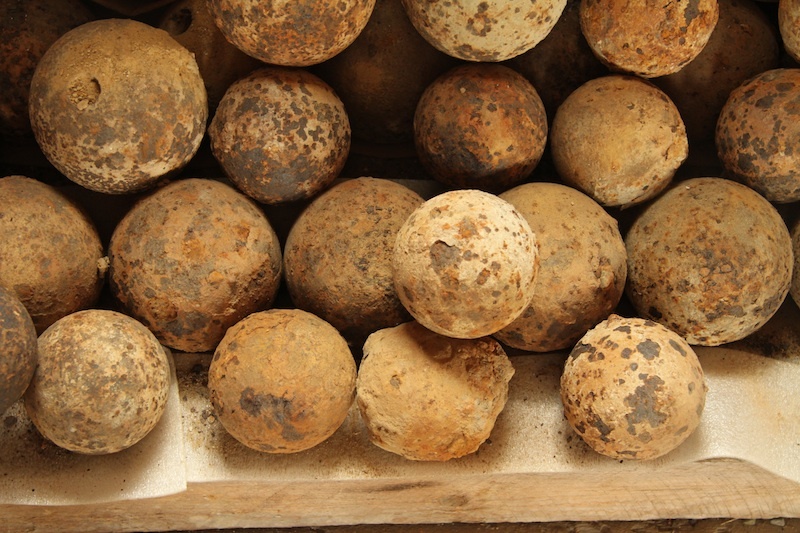 The trade in the heartland of the continent was important. There was the trade of ideas and knowledge, not just items and things. Where better to meet than near the middle? The Whiteshell Park rivers and history is the eastern link to trade routes. 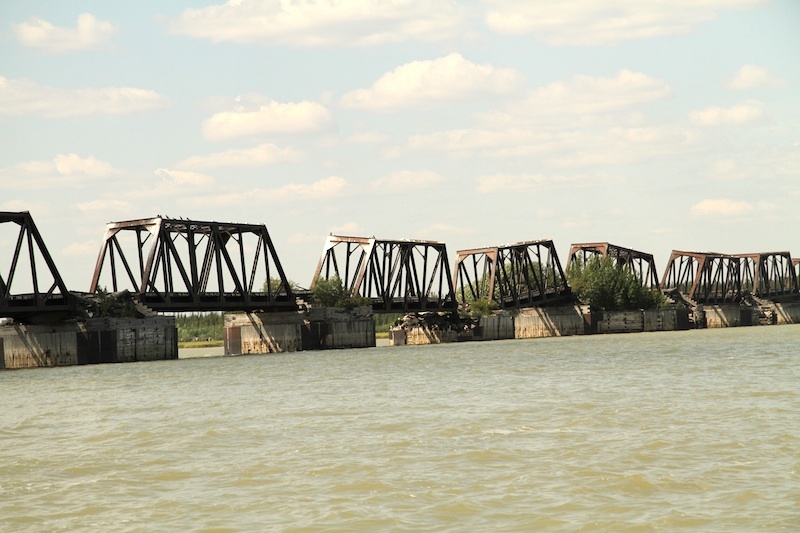 The Saskatchewan River is the connection to the western mountains. The Red River is the route to the Mississipi River and watershed. These ancient watersheds are the life blood of this land. These travel routes funnel and snaked along. 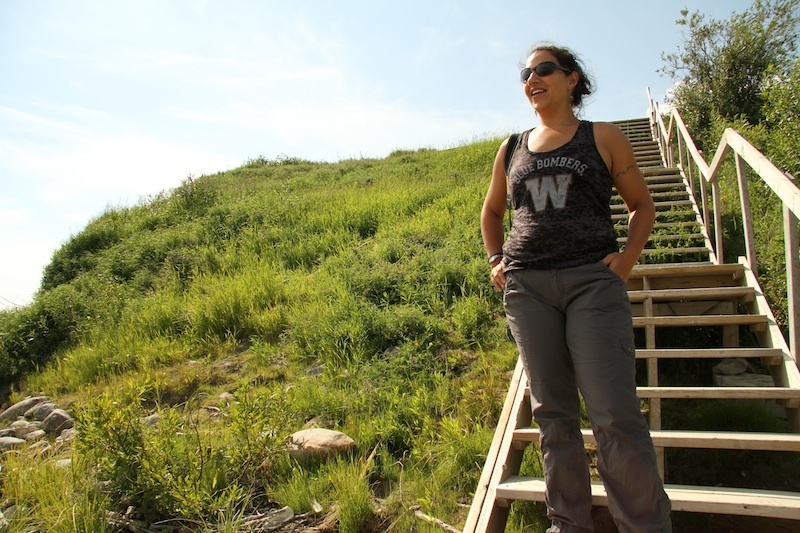 Winnipeg is close to the most northern native farmers of corn, squash, and beans. 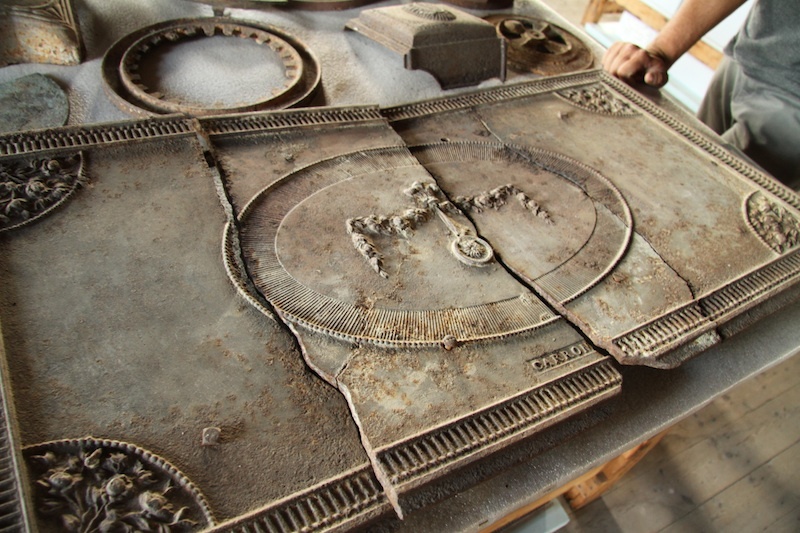 Ancient copper artifacts are found wide and far north as well. Wild rice was also farmed and harvested. The Company of Adventurers were taking part in the ancient trade routes and knowledge. Imagine the history over thousands of years. Amazing. Wow Robyn, this was amazing!! 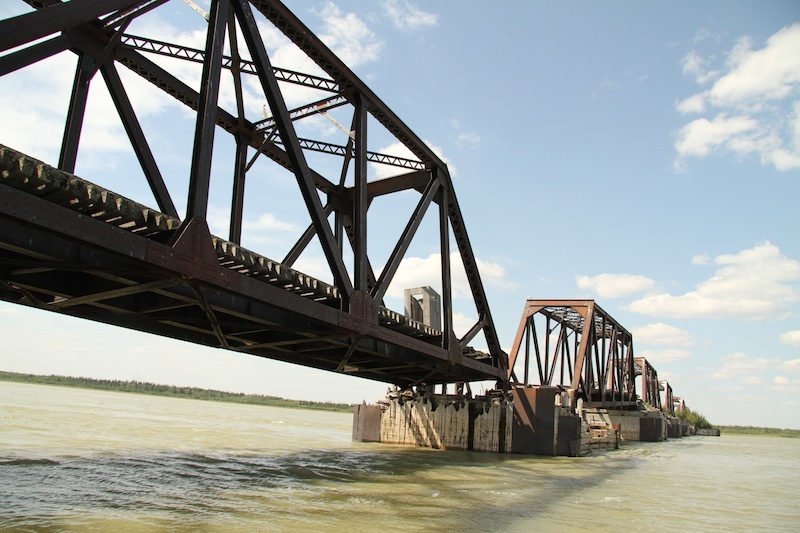 I grew up in Southern Manitoba and spent my first summer out of high school working out of Gillam – in 1974. Prior to that I’d done several canoe trips on rivers throughout Manitoba and Ontario as part of a boarding school I attended = paralleling the old fur trading routes. My brother actually canoed the Hayes and went to York Factory around the same time. Must put this on the bucket list to go to York Factory – those bridge photos were amazing, never realised it was still standing – fascinating story behind that as well. What amazes me is that the first explorers from Europe came down from the north into what is now Manitoba. We rarely think this way now, as new travelers and explorers in Canada move east or west, not north to south. The geography and map making of 400 years ago was focused on the more northern routes, and the closest routes back and forth to Europe. Also wonder about where Vikings were going about 1000 years ago. Where were the copper culture people going about 4000 to 6000 years ago? Who was where, and when? So many mysteries. The whole time line is fantastic. Thousands of years of history in our backyards. Ancient artifacts all over. Why do few humans think about this in Canada? I taught at Leonard Miles Memorial School in Shamattawa (1980 -84) which is on the God’s Rive. The God’s joins onto the Hayes River. I had the privilege of going to York Factory on two occasions hunting for Snow Geese and it was a great adventure. You have a nice picture story of this adventure. I like the boat. 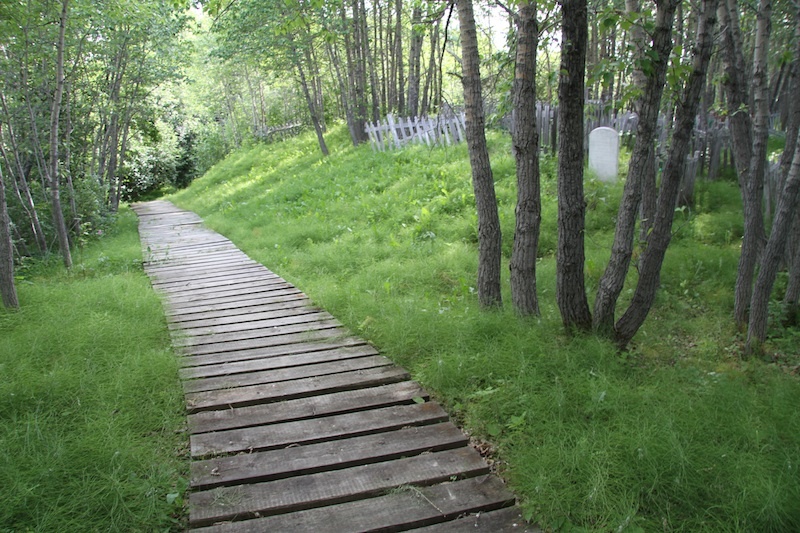 It is a bit upscale from the Norway House canoe I used. 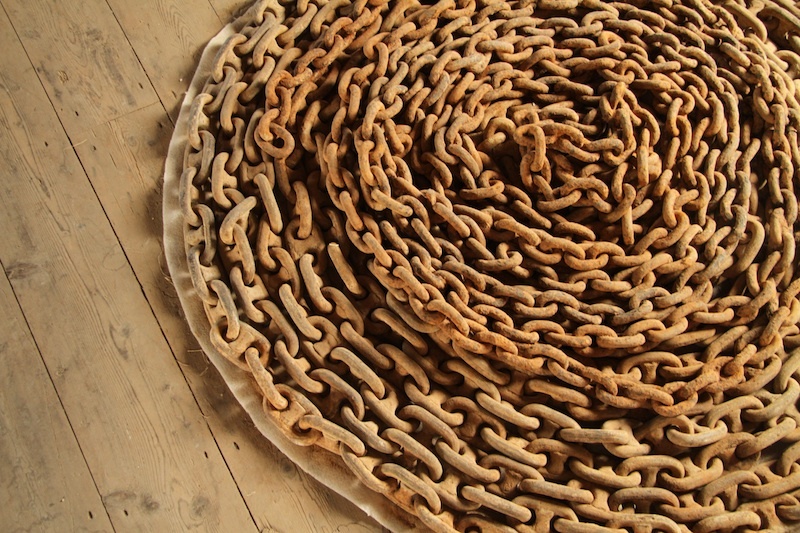 A great blog; thanks for sharing. I was there in 2008 or 2009, following in the footsteps of David Douglas, botanist and plant collector extraordinaire (1799-1834). 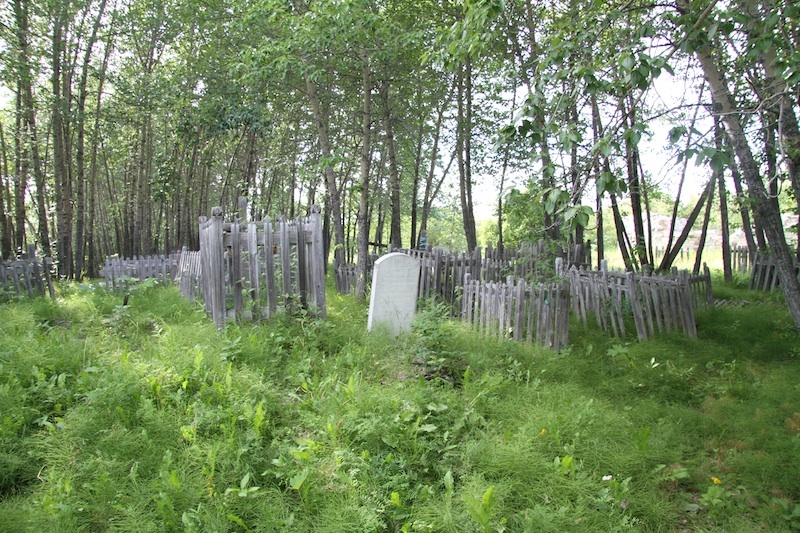 He was there in 1827 after travelling across the continent with the voyageurs of the Hudson Bay Company. I’m a botanical historian and following Douglas to this remote spot is a memory I treasure. We flew in from Gillam and stayed for three nights in the Parks Canada house because we were making a film about Douglas. We were only supposed to stay two nights but were stormbound and couldn’t get out! 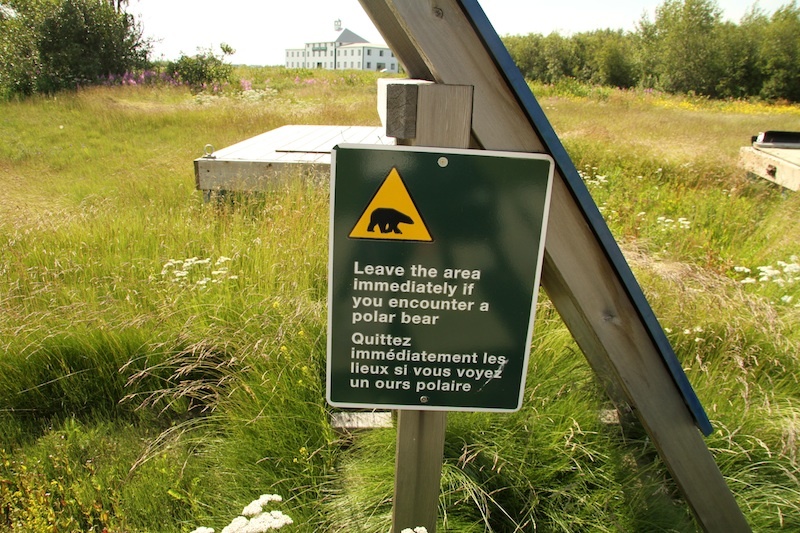 All the stuff about polar bears – we saw them too. I’d love to go back. my name is jerry johnson, i live in arkansas usa, i’m 75 years old. my brother and i canoed from the confluence of the eshimamish and nelson river in about 1970 to york factory via hayes river. when we reached york factory we climbed the bank and found one elderly man living in i believe a church building that he had improved. he had lived their for many years. he was married but spent most of his time at york factory. he was employed by canadian historical society. 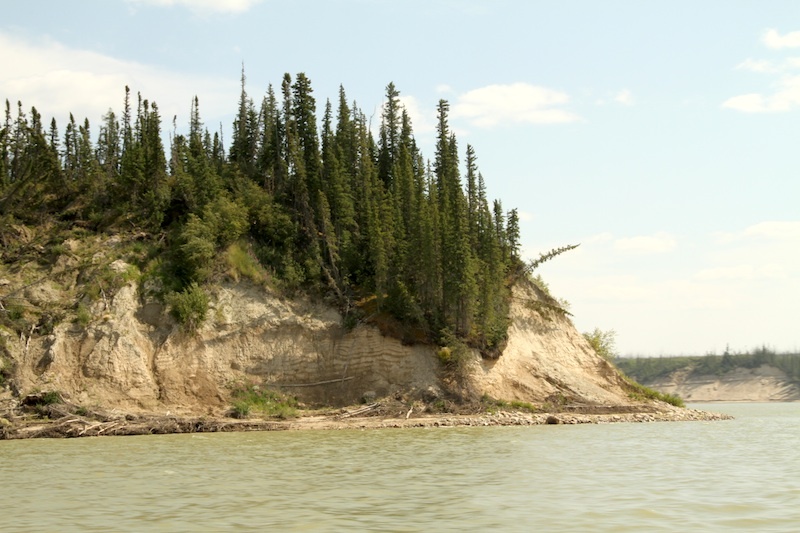 he spoke of mostly local cree indian crews searching for surface artifacts in the summers. he told of having to spend the night in the outhouse due to polar bears between him and his home. 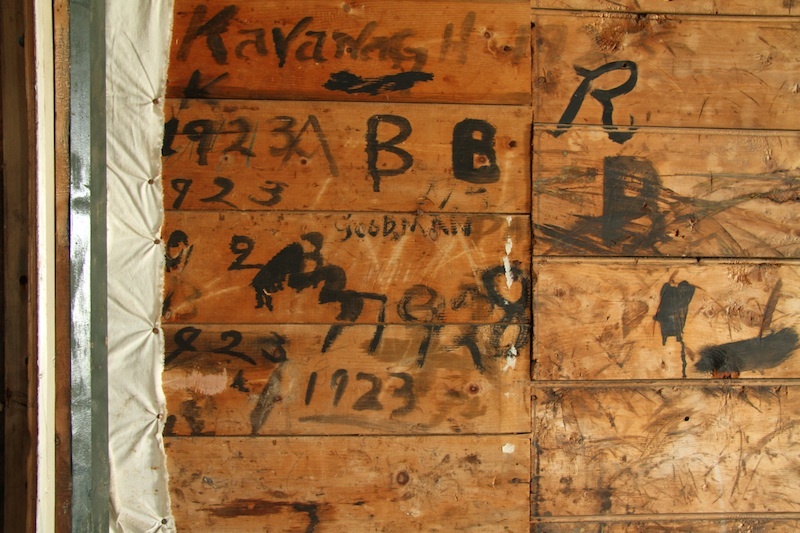 he took us on a tour of the fort, you could see on the insde walls the outlines left from polar bear hides being hung their also a watch tower with many names written and carved on the wood climbing up to it. 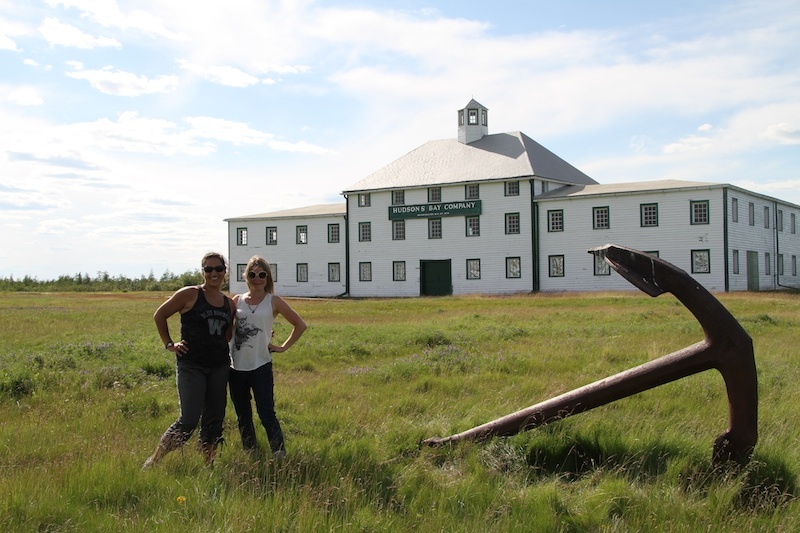 a large wooden flag pole was between the fort and hudson bay. i asked where they found a tree that large that far north, he explained it was a mast from a shipwreck. more to tell but looks like i’m running out of space. sorry for no capital letters but i’m recovering in bed and holding the laptop with one hand and typing with the other. i enjoyed all your posts and the photos, thanks for sharing. Thank You for sharing your trip and pictures. This is mentioned in school but the pictures just bring it to life. The closest I’ve come to the fur trade is Lower Fort Garry. It’s very interesting as well. Thank You for the trip.